it to naturally reform with a glowing appearance, enhancing your entire face. 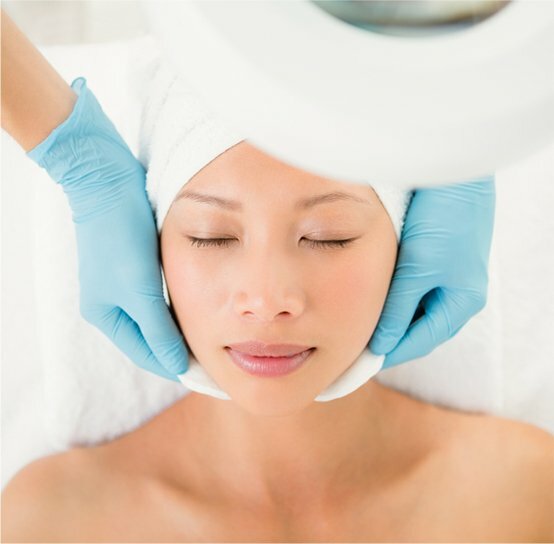 Chemical peels are an excellent option to address specific areas of the face. They can effectively reduce wrinkling, especially around the eyes and lips. They may also be used to treat sun-damaged skin, as well as abnormal skin coloration and acne scars. 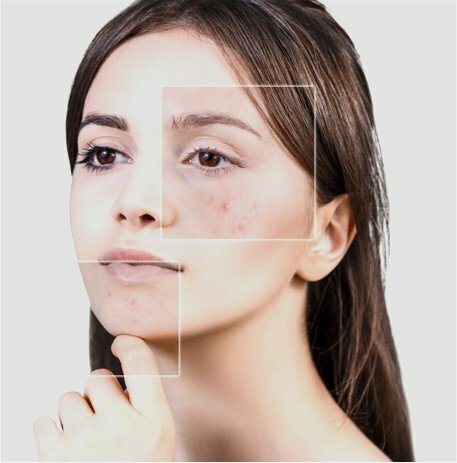 They can be effective by themselves, or they can be used in conjunction with a variety of treatments such as Advanced Facials, Green Peel, Microdermabrasion, Pixel RF and Microneedling. A chemical peel is composed of an acid-based solution that is applied to the skin. The acids in the solution exfoliate the skin by chemically weakening the bonds that hold skin cells together, loosening the uppermost layers of the skin. This will allow those layers to easily be removed, revealing healthy, smooth, new skin below. This process can also boost the growth of new skin cells and encourage the production of collagen, which is vital for the skin’s firmness. Though Chemical Peels are intended to treat specific concerns they are also great in order to maintain healthy skin. 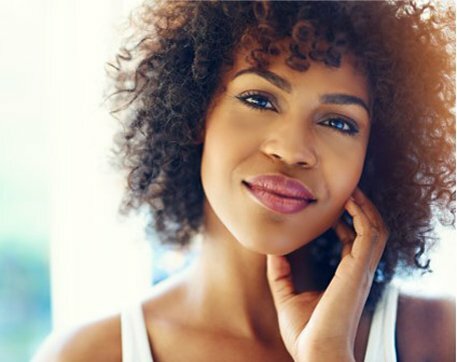 Now that you understand a little more about Chemical Peels we’re sure you will want to know more about some of the Chemical Peels we offer. This Glow Peel is easily one of the favourites for us and our clients for the amazing results that it provides. This unique concoction provides solutions for various skin treatments such as Acne, Texture and Wrinkles and the best part is that the Glow Peel can be customized in strength to treat the skin. This Acne Fighting Treatment is ideal for those who are oily and have Acne-Prone skin. This unique blend targets bacteria that causes Acne, inflammation and irritation using 20% Salicyclic Acid to clear congested skin. This Brightening & Anti-Aging Treatment is more of a luxury treatment as it is not as aggressive as it counter part – Glow Peel. Now this is not to say that this treatment is not effective because it is. This blend targets and treats hyperpigmentation and reduce the signs of aging; and who doesn’t want that?! This Brightening Treatment is the ultimate in Brightening treatments. This smooth blend gives the skin a boost in anti-aging but its biggest job is reducing hyperpigmentation. Another great feature of this treatment is that it is suited for clients who are on the more sensitive side, this treatment calms the skin and brightens at the same time. Now you have a better idea of what we have to offer for Chemical Peels. Remember: Chemical Peels when performed by certified professionals and using Health Canada Approved medical grade products are extremely beneficial and can provide healthy skin and long lasting results.